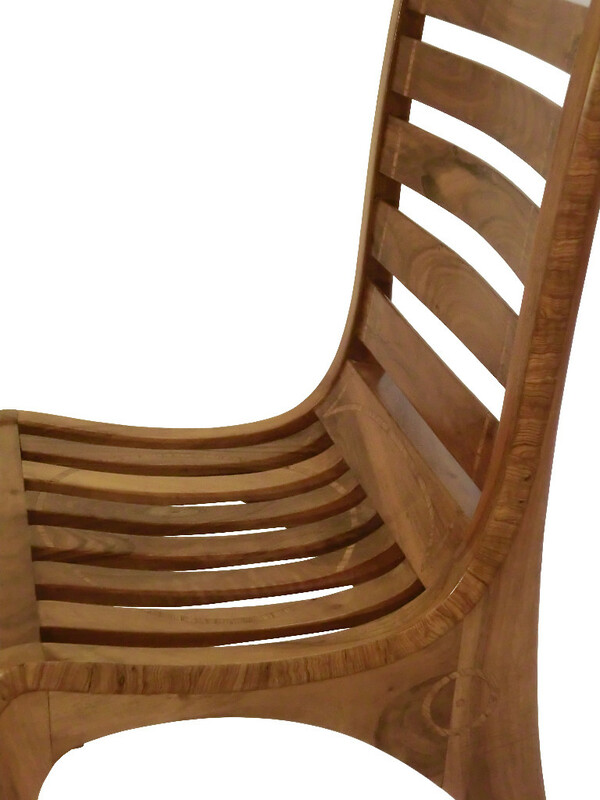 A high-backed chair in walnut. The size of the slats are curved by cutting back on the ground. 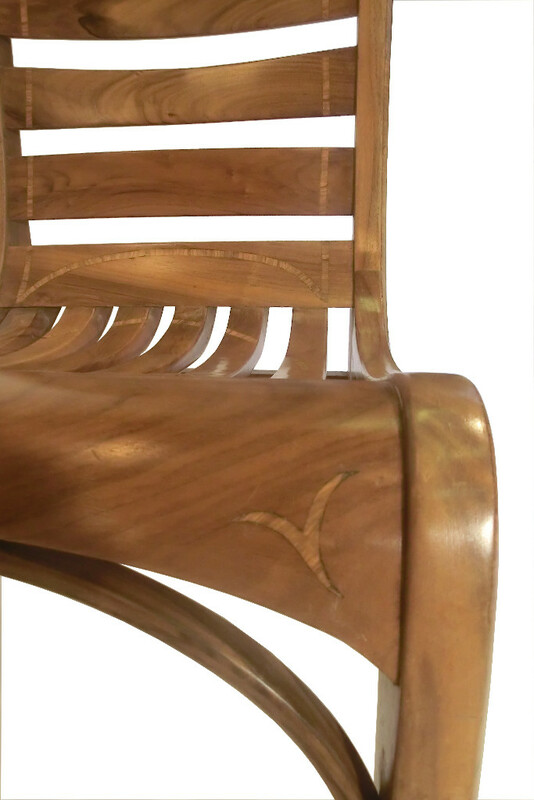 Style : Made by hand in the wood shop, French manufacture. 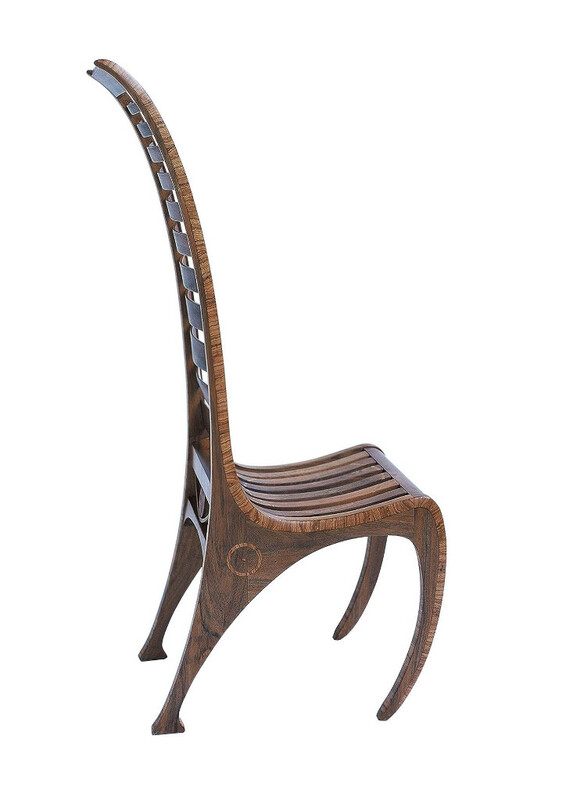 Dimensions: Height 140cm, width 48cm, depth 67cm. 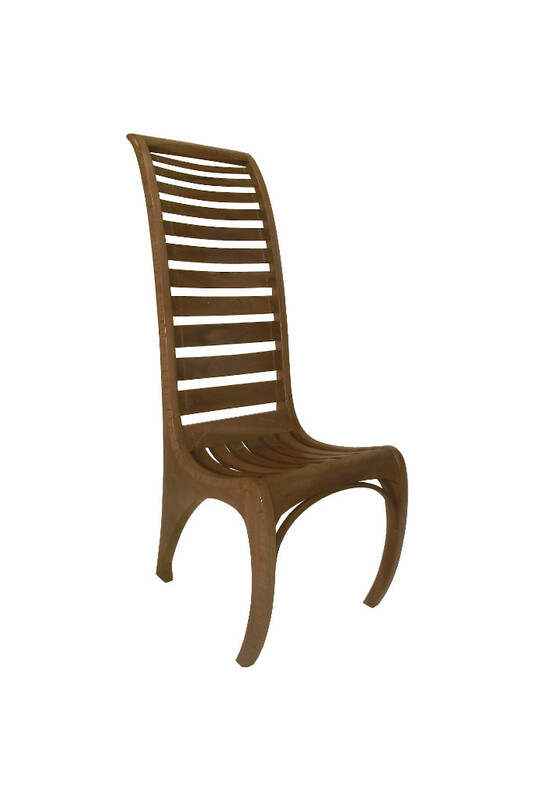 The ergonomic shape and line of the chair combines comfort and majesty. 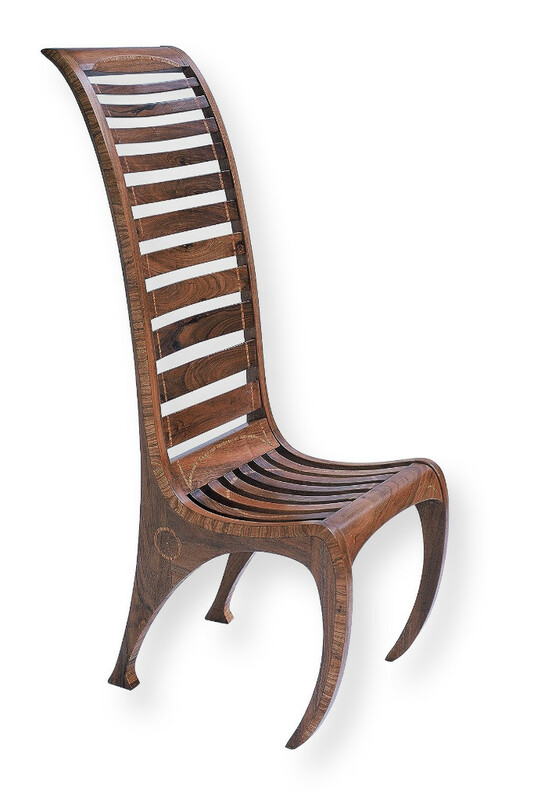 The designer revisits the history of design by blending various artistic trends by offering a unique exceptional piece. 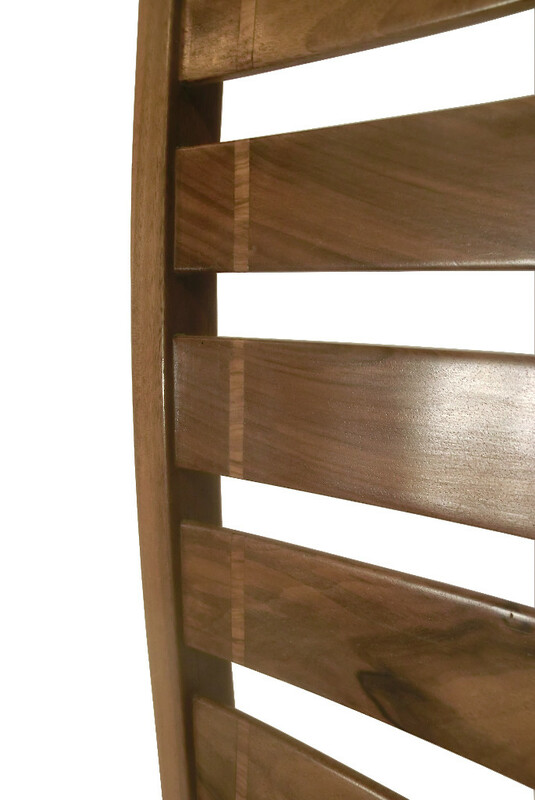 Solid walnut inlays Dordogne and olive veneer. A hot polish was performed to maintain the timber which allows the finishing of the porous surfaces.